Jason L. Hill, DO was born and raised in and around Muskogee, Oklahoma. After graduation from Northeastern State University he has had a varied career path that includes carpentry, the US Army, high school science teacher, and medical office manager. Dr. Hill entered medical school nine years after graduation from college. He finished his residency in Family Medicine at Oklahoma State University Family Medicine Residency in 2002. 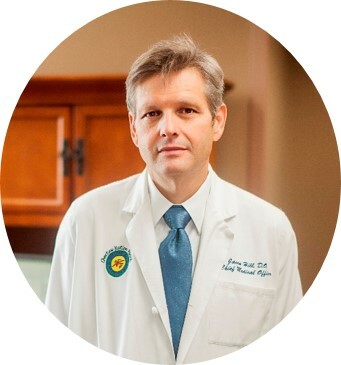 Dr. Hill has practiced Family Medicine at the Choctaw Nation Health Services Authority (CNHSA) since 2002. During that time, he has held various positions including Family Medicine Service Chief, Chief of Medicine, and Chief of Staff. He currently serves as the Chief Medical Officer, Director of Medical Education, and Family Medicine Residency Program Director for the CNHSA.